The Irregular Shelterwood System: Review, Classification, and Potential Application to Forests Affected by Partial Disturbance, 2009–Raymond, et al. Multiaged Silviculture: Managing for Complex Forest Stand Structures–Kevin O’Hara. 2014. Oxford and New York: Oxford University Press. Click on link below. It takes you to the Institute Online page. Click on “overview session videos”. If you have not accessed the Silviculture Institute online material, you will have to create a free Vimeo account. Once you have done that, find the 2nd video entitled “Silvicultural Review: Back to Basics” and click on “Rent $4.95” and then on the next page click on “Apply promo code” and enter “Overview”. If you do this, the video is free to watch. Kenefic, L.S, Bataineh, M.M., Wilson, J.S., Brissette, J.C., and Nyland, R.D. 2014. Silvicultural rehabilitation of cutover mixedwood stands. Journal of Forestry 112(3): 261-271. Rogers, N.S., Kenefic, L.S., Crandall, M.S., Seymour, R.S., and Sendak, P.E. 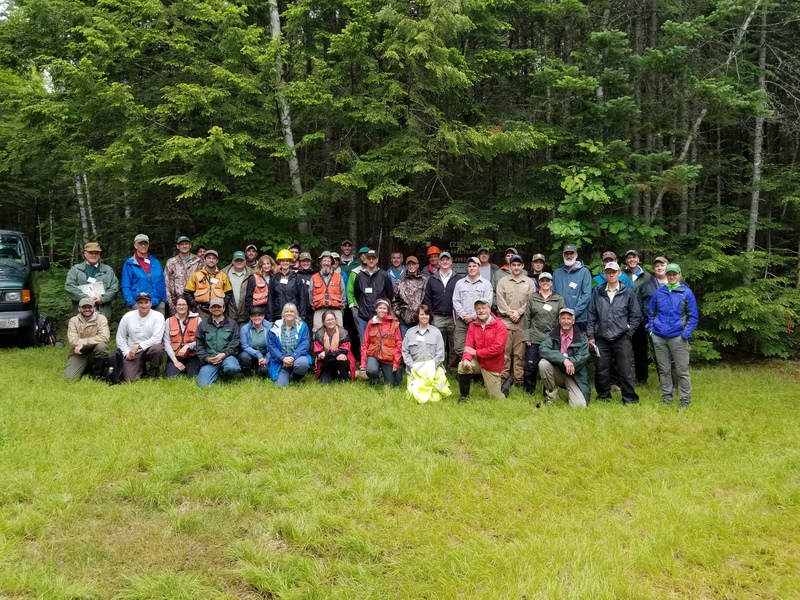 Sixty years of silviculture in a northern conifer forest in Maine, USA. Forest Science, Volume 64, Issue 1, 2 February 2018, Pages 102–111. Seymour, R. S. 1992. The red spruce-balsam fir forest of Maine: Evolution of silvicultural practice in response to stand development patterns and disturbances. Ch. 12 (p. 217-244) In: Kelty, M. J., Larson, B. C. and Oliver, C. D., eds. The Ecology and Silviculture of Mixed-species forests. Kluwer Publishers, Norwell, MA. 287 p.
Seymour, R. S. 1995. The Northeastern Region. p. 31-79 In: Regional Silviculture of the United States, Ed. 3. Ed. J. W. Barrett. Wiley and Sons, N. Y. 643 p.
Seymour, R.S. 2005. Integrating disturbance parameters into conventional silvicultural systems: Experience from the Acadian forest of northeastern North America. P. 41-48 In: Peterson, C.E. and Maguire, D.A., editors. Balancing ecosystem values: innovative experiments for sustainable forestry. USDA For. Serv. Gen. Tech. Rep. PNW-GTR-635. 389 p.
Irland, L.C. Timber Productivity Research Gaps for Extensive Forest Management. In Small-scale Forestry (2011) 10: 389. Ralston, Joel; King, David I.; DeLuca, William V.; Niemi, Gerald J.; Glennon, Michale J.; Scarl, Judith C.; Lambert, J. Daniel 2015. Analysis of combined data sets yields trend estimates for vulnerable spruce-fir birds in northern United States. Biological Conservation. 187: 270-278. Saunders, M.R., and Arseneault, J.E., 2013. Potential yields and economic returns of natural disturbance-based silviculture: a case study from the Acadian forest ecosystem research program. Journal of Forestry 111:175–185. Saunders, M.R,. Seymour, R.S., and R.G. Wagner. 2014. The Acadian Forest Ecosystem Research Program: An Example of Natural Disturbance-Based Silviculture in the Northeast. USDA For. Serv. Gen. Tech. Rep. NRS-P-123. Newtown Square, PA: USDA Forest Service, Northern Research Station. 185 p.
The goal of this assignment is to apply the knowledge gained through today’s presentations and your previous experience in summarizing the strengths and weaknesses of different silvicultural systems for spruce-fir forests. Form a small group and discuss the questions on this worksheet: Assignment for Spruce-Fir Module: Comparing Regeneration Methods. Fill out and submit one group worksheet (see “Upload your assignment” below) by Thursday morning before the session begins. When naming the file, use at least one last name of a person in your group.